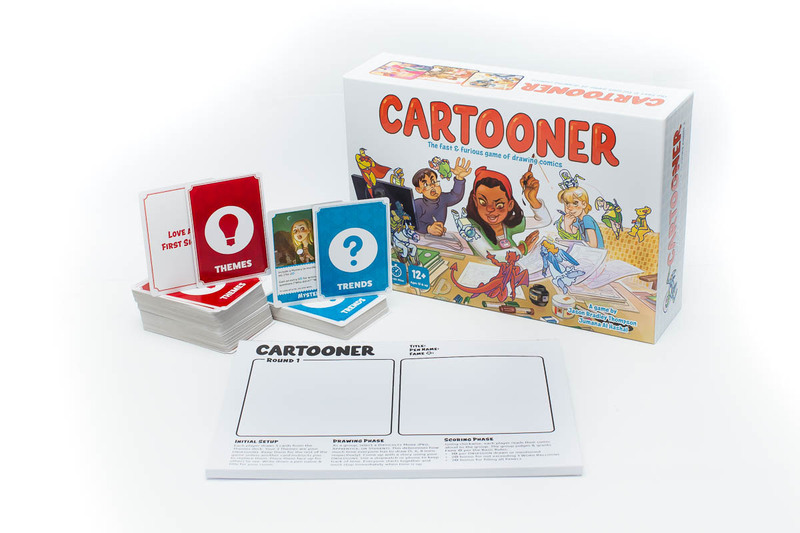 Cartooner is a 1-8 player card game that lasts about 30-60 minutes per round. 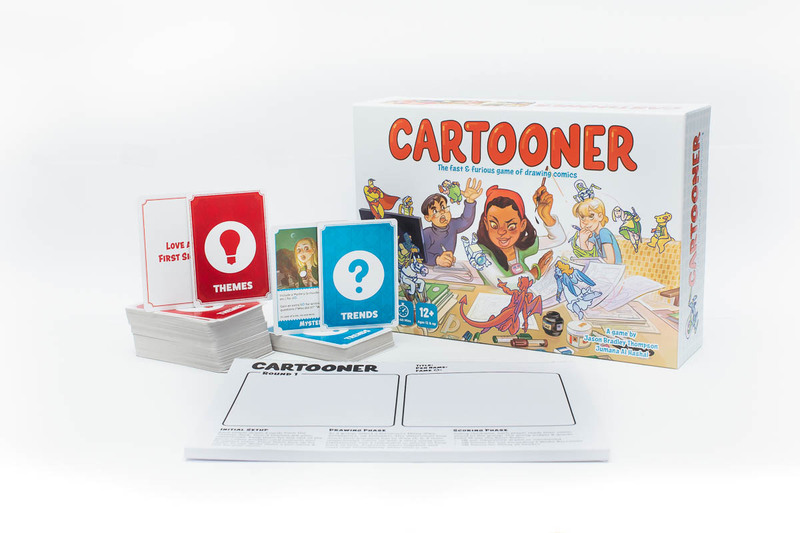 Cartooner: The Fast & Furious Game of Drawing Comics is a creative fast-paced card game in which players draw comic stories over four rounds combining Themes & an ever-growing number of Trends. 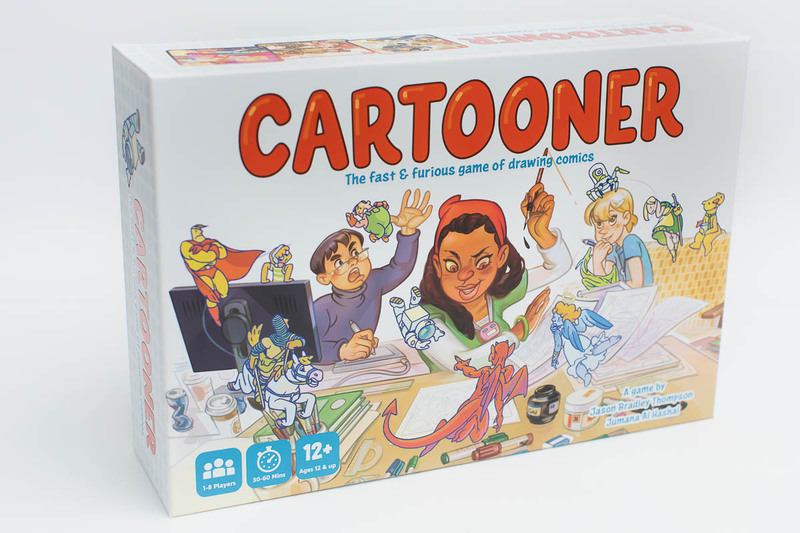 While this is a game about drawing, it's not just a game where the best artist wins. Your strategy and ability to adapt fast will matter much more. Points are also awarded for strategy and following the rules.